Stunning landscapes, warm seas and wonderful hospitality combine to make Thailand’s largest island one of the top holiday destinations in the world. Phuket is a contrast of all-night parties and natural wonders, bustling with activity and steeped in serene spirituality. 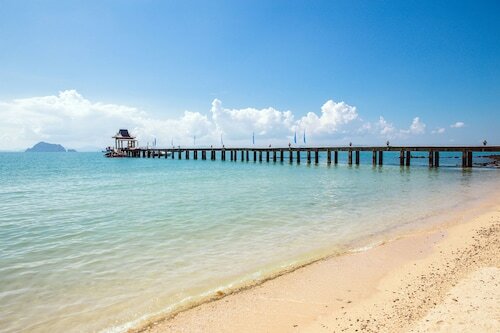 It is not for nothing that this island is considered as Asia’s most popular beach destination. The accommodation and facilities cater for all tastes and budgets, from rustic low-cost huts to high-end luxury resorts, so you can be sure to find the perfect way to spend your trip. This island province is nearly 50 kilometres long and just over 20 kilometres wide. Located in the Andaman Sea off the west coast of Thailand, it is connected to the mainland by two bridges, as well as a regular ferry service. Thanks to its position on the trade route between India and China, it has a rich history with many cultural influences. 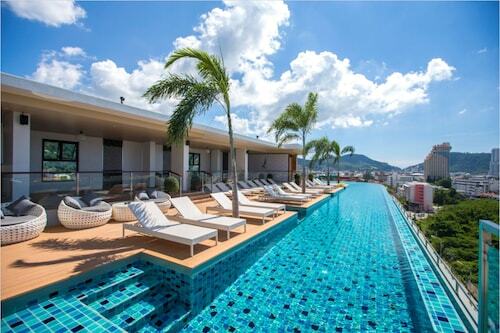 Phuket is famed for its natural beauty. You will be treated to pristine white sand beaches, warm, clear seas and untouched forests, all home to an abundance of native wildlife. Discover stunning views of from the headlands as you hike along the coast. This is the perfect way to discover some of the more idyllic, deserted beaches. Many visitors chose this destination for the excellent snorkelling and diving conditions, with year-round warm clear waters teeming with colourful tropical fish. Surfing, jet skiing and parasailing are on offer for more adventurous visitors. Make sure you include a visit to the many nearby islands. You can hire a boat, or join one of the many cruises. The spectacular scenery has even featured in films such as the The Man with the Golden Gun, and the Phi Phi Islands were the backdrop for The Beach released in 2000. The stunning sunset at Promthep Cape is the perfect backdrop to a relaxing evening. 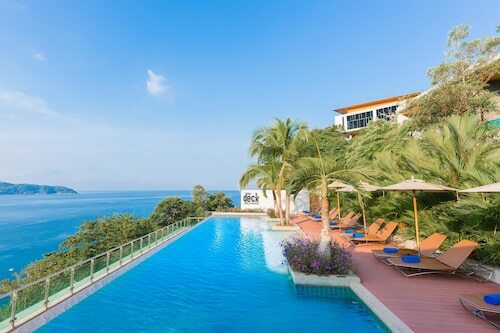 Discover Thai culture and spirituality when you visit the impressive Big Buddha statue in the Nakkerd Hills, or the Samnak Song Buddhist monastery on Nai Harn Beach. You must remember to dress conservatively in religious sites. The west coast is where you’ll find most of the tourist activities. Patong Beach is the party capital, with bars and nightclubs along the length of the main street Soi Bangla. Be prepared for dazzling neon lights, pounding music and exotic entertainment. 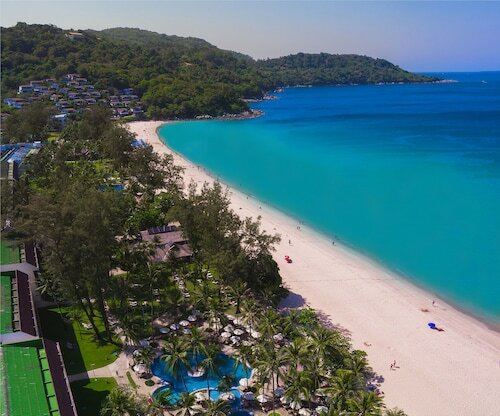 Kamala Beach is perfect for families, while Kata Noi and Laem Singh are quieter hidden bays. Tuk-tuks are the easiest way to get around the island. The lack of parking and somewhat erratic local driving style mean that hiring a may be a less attractive option. Whatever you do, enjoy the laid-back atmosphere of Phuket, summed up by the local saying “mai pen rai” which means “no worries”. This region is defined by coarse cliffs, near-perfect white-sand beaches and extraordinary limestone karsts that appear to float on its clear coastal waters. Immerse yourself in the serene atmosphere of this spiritual site, whilst enjoying the panoramic views from the Nakkerd Hills. Enjoy the laid-back atmosphere of this family-friendly beach, a relaxed alternative to the party hotspots. Sheer limestone cliffs and serene blue water create a breath-taking natural wonder, where desert island dreams can come true. Enjoy one of the most beautiful sunsets in the world from this famous coastal look-out. Step off the tourist trail and join local residents on this beautiful, tranquil beach.